Please contact us for all charter inquiries and to request a free quote. All our Bus and Coach Drivers are Professional Drivers. All Vehicles are Air Conditioned, with some seat-belted. 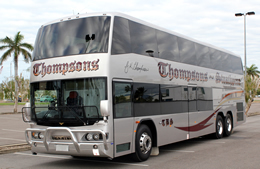 There are approximately 45 vehicles with Bus and Coach sizes varying from 53 seats to 81 seat Double Deckers. Various Trailers are also available. We have the ability to transfer School Camps, Swimming Shuttles, School Excursions, Sport Transfers, Band Tours or whatever your needs may be. 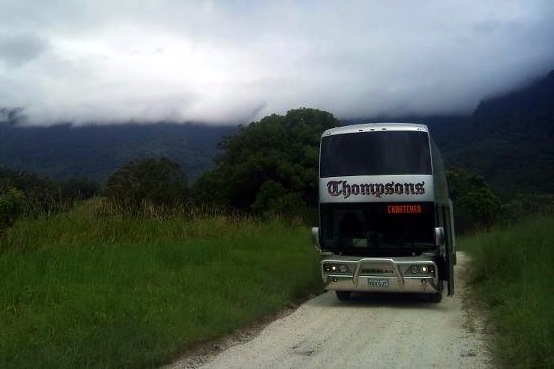 While Thompsons specialise in School Charter, we also are experienced with Senior Citizen Groups, School Holiday Groups, Weddings, Church Groups and the list goes on. We have over 30 years experience meeting Charter needs, and look forward to providing you with a quote.